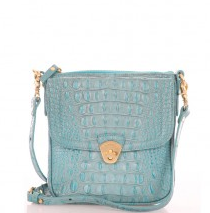 I absolutely am LOVING the color of this croc texture purse! In comes in other shades, but baby blue just speaks to me. Buy at Brahmin for $195. UPDATE: The color sold out but you can check out all the purses in this collection here.